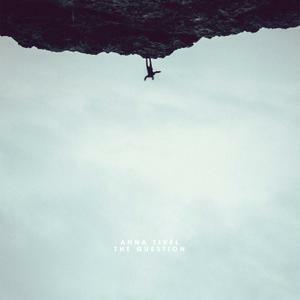 A fiery and intense blend of Rock, Blues, and psych-folk. Be aware - from the vocals, to the guitars, to the lyrics - this is an adventurous Rockabluesic journey that will crawl into your brain cells. This album takes you on an adventure: from the cold tundra of a hard world to the passions of real love. It snakes through the swamp, passes through love’s playgrounds, gets lost in the mist of a forest, and ends up in a flame of fire and light. Robert’s brand of music, Rockabluesic, is punctuated by some of the best guitar you will ever hear. On top of that, the vocals can be haunting or bone-shaking. It has been variously described as breathtaking, life-changing, soothing, and powerful enough to drive a railroad spike. One thing is certain: it will take you to places you’ve always wanted to believe existed. 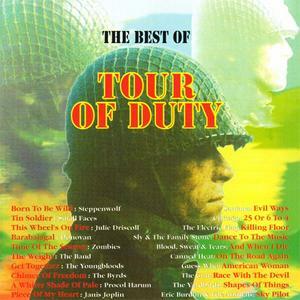 The Best Of Tour Of Duty is a 1992 compilation highlighting some of the prized rock of the Vietnam War era. 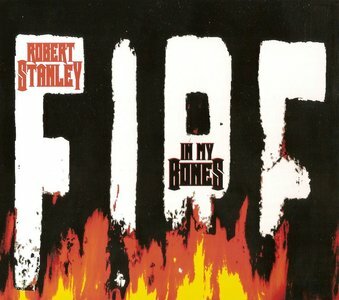 Some claim this is a soundtrack to a film but it is not, just a compilation of Vietnam War era music released by Columbia Records. Limited box containing four CDs in card wallets housed inside a clamshell box. Susanna Hoffs, a founding member of The Bangles and co-conspirator Matthew Sweet released three full volumes of their Under The Covers series between 2006 and 2013, on which the two teamed up to pay homage to many of the singles (and album deep cuts) from the '60s, '70s, and '80s which informed and shaped their own musical destinies. The Beatles, Dylan, Fairport Convention, Neil Young, The Beach Boys, The Who, Grateful Dead, Fleetwood Mac, Carly Simon, The Ramones, The Clash, The Pretenders, The Smiths and Prince are amongst the 57 acts covered. With guest appearances from Lindsey Buckingham, Steve Howe, Van Dyke Parks and Dhani Harrison, this 60 song package contains all three albums and fifteen previously-hard-to-get bonus tracks plus a 48 page booklet with annotation by Sweet and Hoffs, all gathered together for the first time. 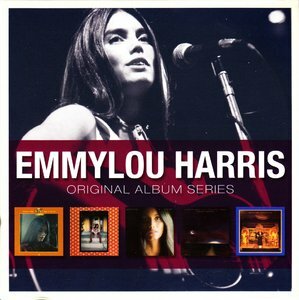 Emmylou Harris was a little-known singer and songwriter playing the folk circuit in Washington, D.C., when she was discovered by Gram Parsons, who invited her to sing on his solo albums and revealed to the world she had a voice of striking beauty and the talent to use it wisely. After Parsons' death, Harris embarked on a solo career that saw her creating a series of outstanding albums that combined the sound and style of classic country music with a progressive feel that made her one of the best respected artists of her generation. This specially priced box set includes Harris' first five albums for Reprise Records in full, featuring some of her most compelling studio recordings. Included in this set are 1975's Pieces of the Sky, 1975's Elite Hotel, 1977's Luxury Liner, 1978's Quarter Moon in a Ten Cent Town, and 1979's Blue Kentucky Girl. The first time June Tabor and Maddy Prior made a duo recording, it was released under their names and was entitled Silly Sisters. On this, their second album, Silly Sisters is the name of the group. Officially, it still consists of just Tabor and Prior, but most tracks also feature Breton guitarist Dan Ar Braz, Welsh harpist and keyboardist Huw Warren, and various other guests. As with their first album, the program is a winning mix of traditional and modern British folk music. An eerie and haunting arrangement of Andy Irvine's "Blood and Gold" is followed immediately by an almost African-sounding instrumental by Ar Braz; Tabor and Prior perform a brief a cappella "catch" by Henry Purcell entitled "Cakes and Ale"; and the traditional "Hedger and Ditcher" shows up in an arrangement that features both bagpipes and soprano saxophone. But interesting as things get instrumentally, Tabor and Prior's almost telepathic musicality and sharp, reedy voices are always at center stage, and the songs are always well served by the arrangements. Somewhere deep in the middle of a good story, a simple and powerful thing happens. You begin to feel seen. The characters have been slowly undressed, layer upon layer of hope and human flaw, their struggles revealed. They remind you of your family, of a briefly encountered stranger, of yourself. On 19 April 2019, VOL. 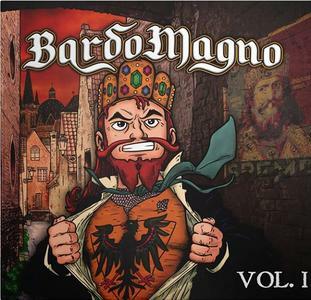 I the first CD of "BardoMagno", the musical project born from the minds of Feudalesimo e Libertà (FEL), a well-known Facebook page that for years has satirically proposed a return to the glories of Middle Ages. Repeating in an ironic key some famous songs from the Italian tradition and writing about them - ex manu et ex novo - own, BardoMagno - VOL. I manages to perfectly blend the irreverent texts in the language neo-vulgar of FEL to a robust folk-rock sound. BardoMagno - VOL. I, "under the pugnacious and inflexible symphonic guide of Valerio Storch (Nanowar of Steel)", made use of the participation of some important artists of the Italian music scene : Alessandro Mereu (Holy Martyr - author of Jenus); Maurizio Cardullo (Folkstone); Edoardo Sala (Folkstone); Lorenzo Marchesi (Folkstone); Maurizio Merluzzo (dubber), Vanni de Luca (mentalist and magician), and many others. 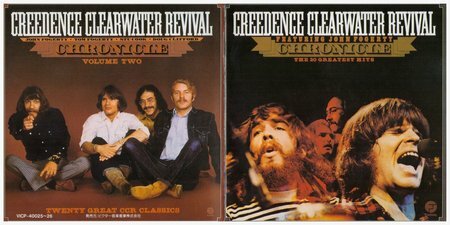 This double-disc set is cross-licensed to include key tracks from 40 years of recording! 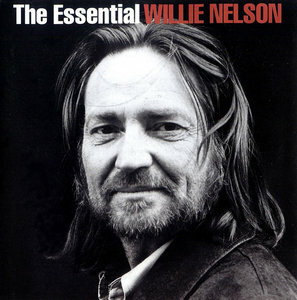 Includes Night Life; Hello Walls; Me and Paul; Bloody Mary Morning; Funny How Time Slips Away; Blue Eyes Crying in the Rain; On the Road Again; If You've Got the Money I've Got the Time; Georgia on My Mind; My Heroes Have Always Been Cowboys; Always on My Mind; Pancho and Lefty; Highwayman, and more. 41 tracks! 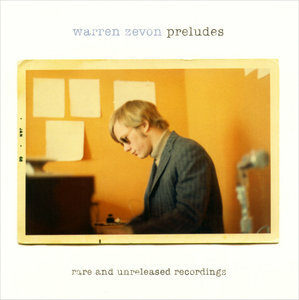 Preludes: Rare and Unreleased Recordings is a two-CD compilation of music and interviews, including unreleased outtakes and demos, by singer-songwriter Warren Zevon, who died in 2003. Following Warren's death in 2003, his son, Jordan Zevon, discovered 126 unreleased outtakes and demos in a piano-sized touring case. This 2-CD set collects the best of these recordings. The album was released by New West Records in 2007 in a deluxe two-CD package in a hardbound slipcase. It includes a 44-page booklet with previously unpublished family photos, integrated with excerpts from the memoir I'll Sleep When I'm Dead: The Dirty Life and Times of Warren Zevon by Crystal Zevon. 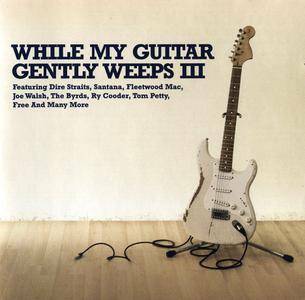 Exactly ten years after Dire Straits' first compilation, Money for Nothing, appeared in the stores, their second, Sultans of Swing: The Very Best of Dire Straits, was released. A decade is a significant span of time, and the average band would have produced enough material for an entirely different collection, one that shared no similarities with its predecessor. Dire Straits is not the average band, however, and during those ten years, they released exactly two albums – 1991's On Every Street, their first studio album since Brothers in Arms in 1985, and 1993's On the Night, a live album culled from tapes of the record's supporting tour. 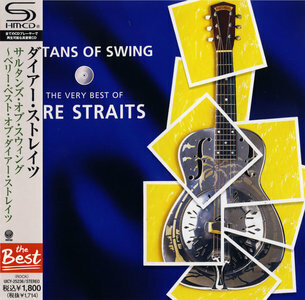 Not quite enough new material for a new greatest-hits album, but it had been years since Dire Straits had released an album of any sort (a compilation of BBC sessions snuck into the stores in 1995) – hence the birth of Sultans of Swing.